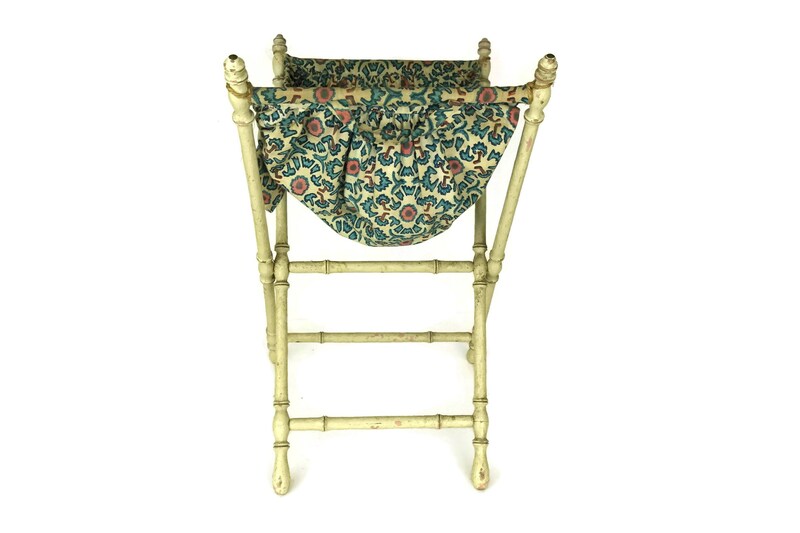 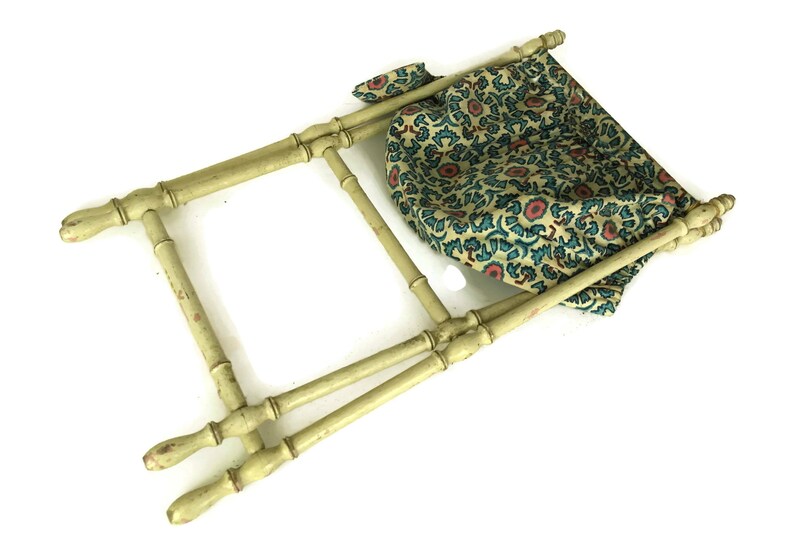 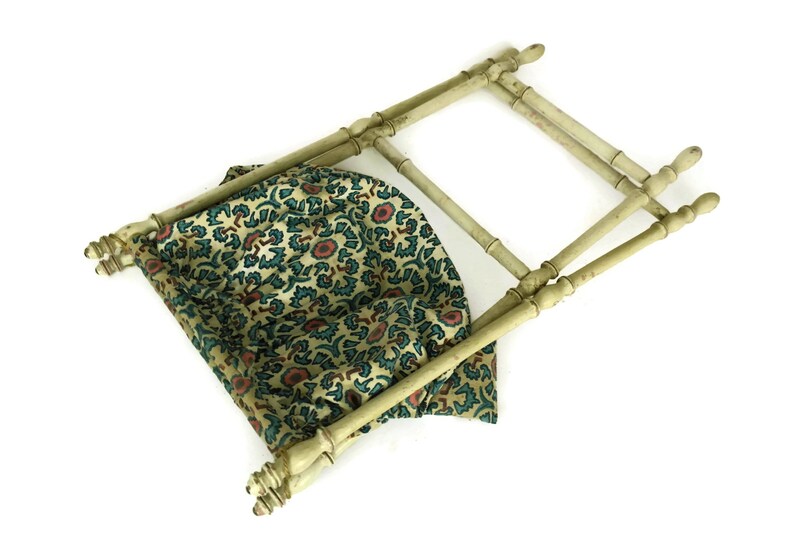 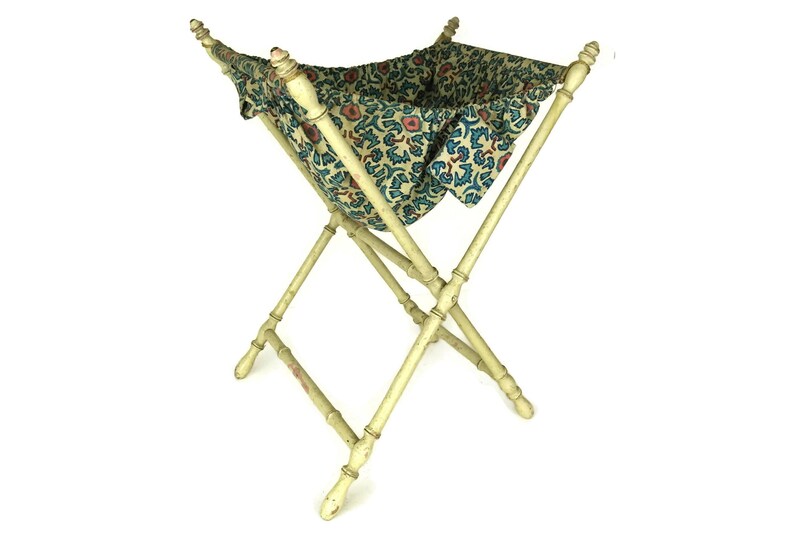 A charming antique folding sewing and knitting basket with a wood frame dating to the early 1900s. 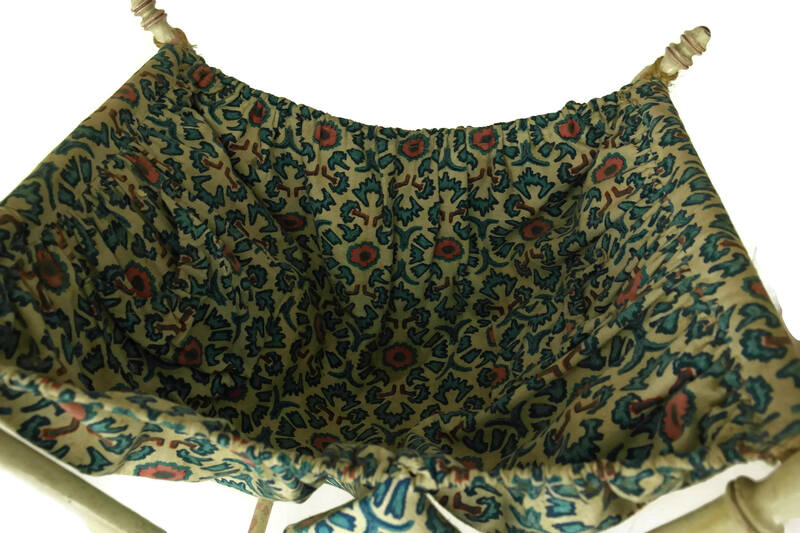 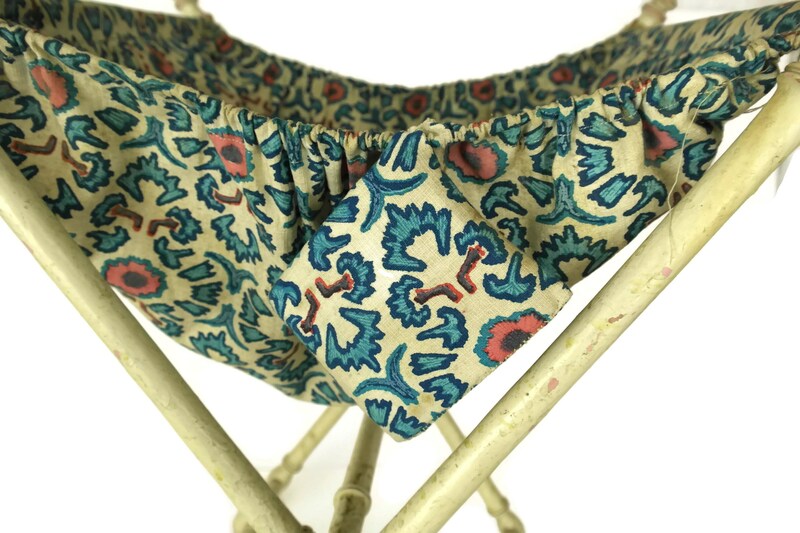 It features a blue flower print fabric basket that was added at a later stage. 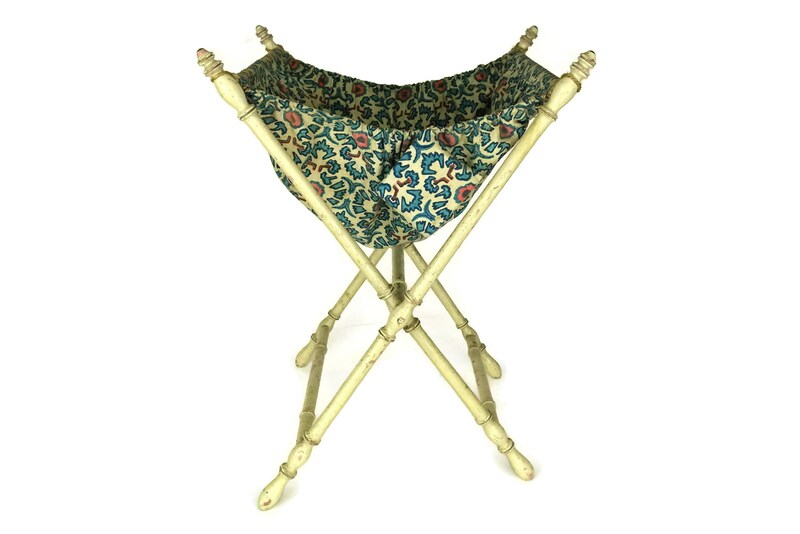 The classic French craft basket would also make an elegant laundry hamper or bathroom decor. 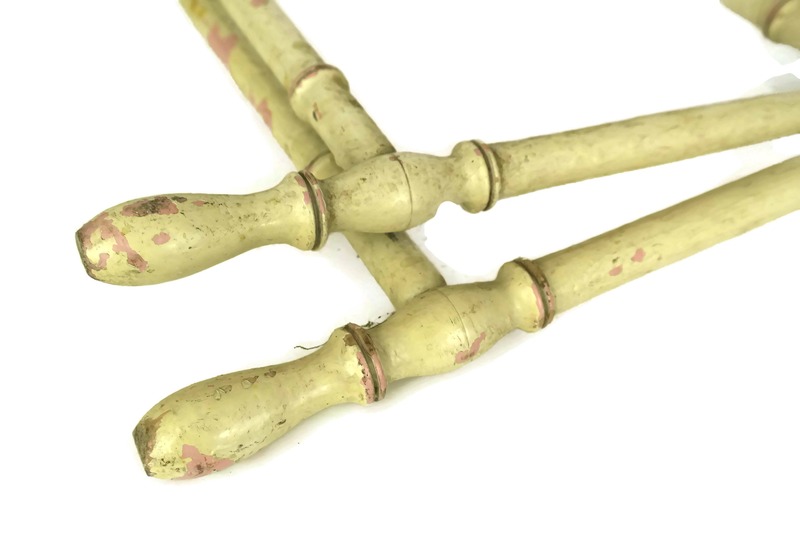 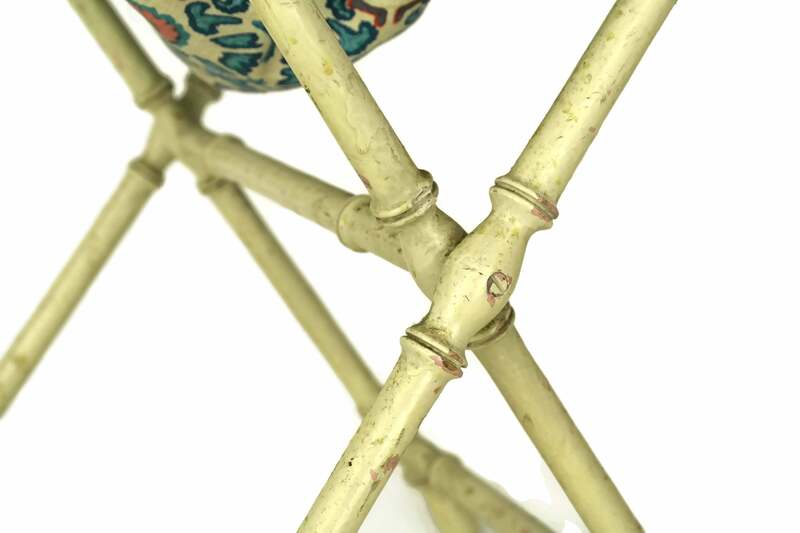 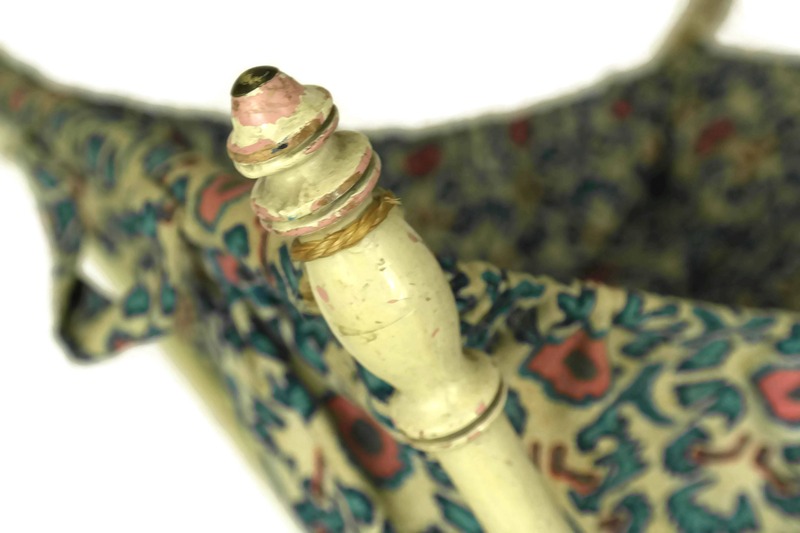 The sewing basket is in good antique condition with signs of age and wear including flaking to the painted wood and patina and marks to the fabric.